We take a look at the top players from the Premier League who have rallied to earn valuable points from their last five league fixtures. Manuel Pellegrini aimed a jibe at Jurgen Klopp saying the Liverpool boss is “used to offside goals” after their controversial opener in Monday's 1-1 draw at West Ham. Liverpool benefited from a poor decision by the assistant referee to take the lead in their 1-1 draw with West Ham at the London Stadium. Watch all of the goals from the weekend's Premier League action as Manchester United, Manchester City, Chelsea and Tottenham won. West Ham captain Mark Noble says you can sense the nervousness in the Liverpool squad, after his side held the Premier League leaders to a second draw in two games. West Ham manager Manuel Pellegrini believes the match officials cost his side victory after Liverpool's controversial opener in the 1-1 draw on Monday. West Ham 1-1 Liverpool MNF reaction LIVE! Posted in SkySports NewsComments Off on West Ham 1-1 Liverpool MNF reaction LIVE! Liverpool left the door open for Manchester City to go top of the Premier League after a lacklustre performance in drawing 1-1 at West Ham. 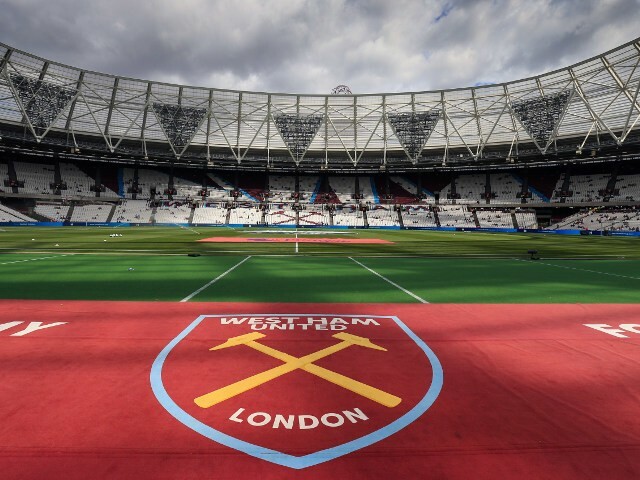 West Ham vs Liverpool build-up LIVE! Posted in SkySports NewsComments Off on West Ham vs Liverpool build-up LIVE! Ref Watch: Was Mings stamp deliberate? Dermot Gallagher returns with Ref Watch as he casts his eye over contentious incidents from the weekend action. Posted in SkySports NewsComments Off on Ref Watch: Was Mings stamp deliberate? Ashley Cole will join Jamie Carragher and David Jones in the MNF studio for West Ham's clash with Liverpool, live on Sky Sports. Michail Antonio thinks complacency has been behind West Ham's poor run of results, but thinks facing Liverpool will bring them back to form. Manuel Pellegrini admits that he would like to do his old club Manchester City a favour on Monday night when his West Ham side host Premier League leaders Liverpool. Pablo Zabaleta has urged West Ham to put their season back on track against Liverpool on Monday, live on Sky Sports, and enhance their challenge for Europa League qualification. Manuel Pellegrini is adamant West Ham can beat Premier League leaders Liverpool when the two sides play each other at the London Stadium on Monday Night Football. Manuel Pellegrini holds no frustration over West Ham’s January transfer window and distanced the club from an interest in Michy Batshuayi. The January transfer window is closed, but there are still players available to sign as free agents. Posted in SkySports NewsComments Off on Who are the top free agents? The transfer window has now shut and Alan Smith is here to give each Premier League club a grade for the business they have done during January. What’s changed since opening PL round? This weekend's Premier League fixtures will be a reverse of the opening matchday back in August. We look at whether those results were a sign of things to come. Posted in SkySports NewsComments Off on What’s changed since opening PL round? Relive the late drama of Deadline Day as Batshuayi, Markovic, Tielemans, Suarez, Almiron, Crouch and more secured Premier League moves! From done deals and transfer twists, to funny moments and birthday cakes, Deadline Day had it all – and we brought you all the drama on Sky Sports News.